Looking to attract more clients in business, school or non-profit group? Or how about promoting your special event or grand opening? With our Mobile Billboards you can provide a great way for your message to stand out amongst the many different advertising mediums. 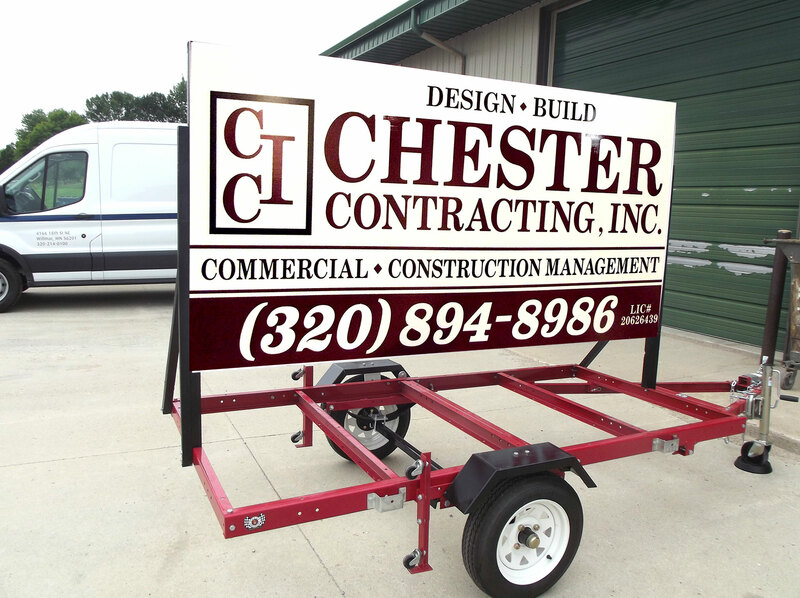 Fast and easy to install, mobile billboards deliver your message, where and when you need it to. Available for daily, weekly or monthly rental. 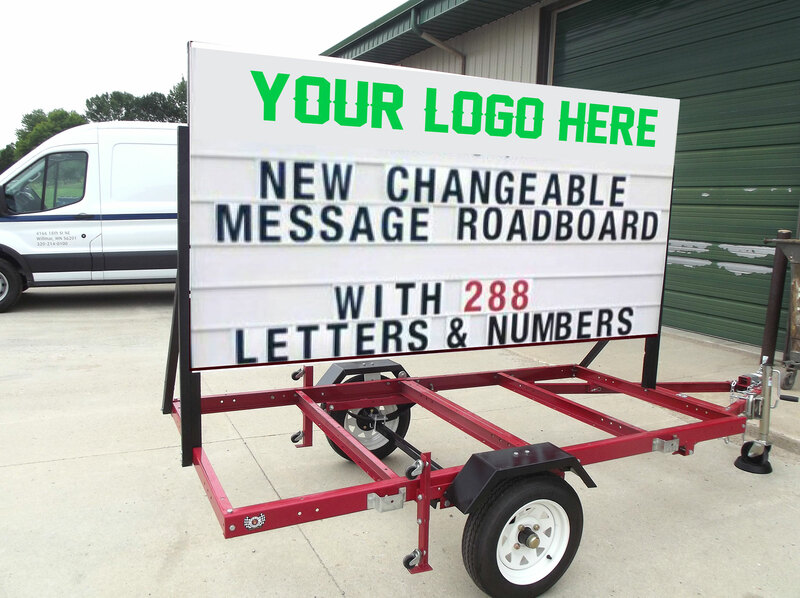 Customize it with your logo and design or use our changeable letters to get your message out there. 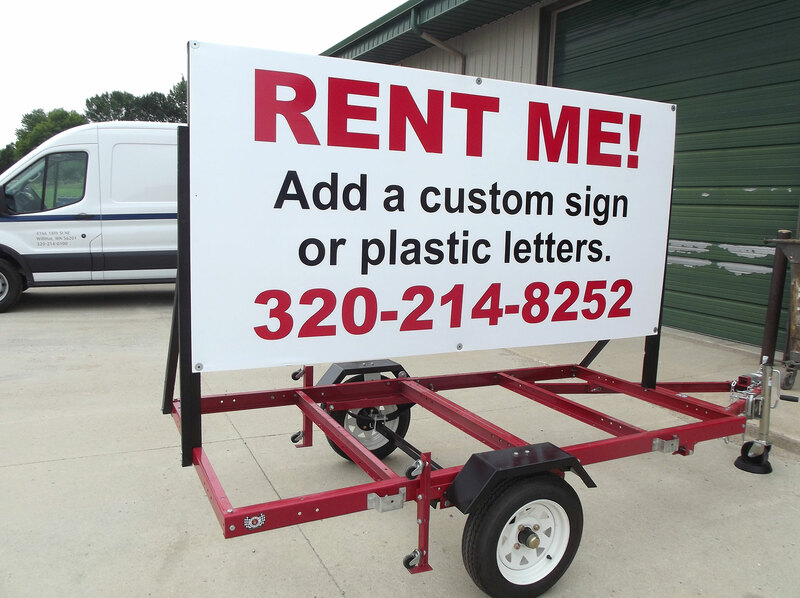 How does the trailer rental work? 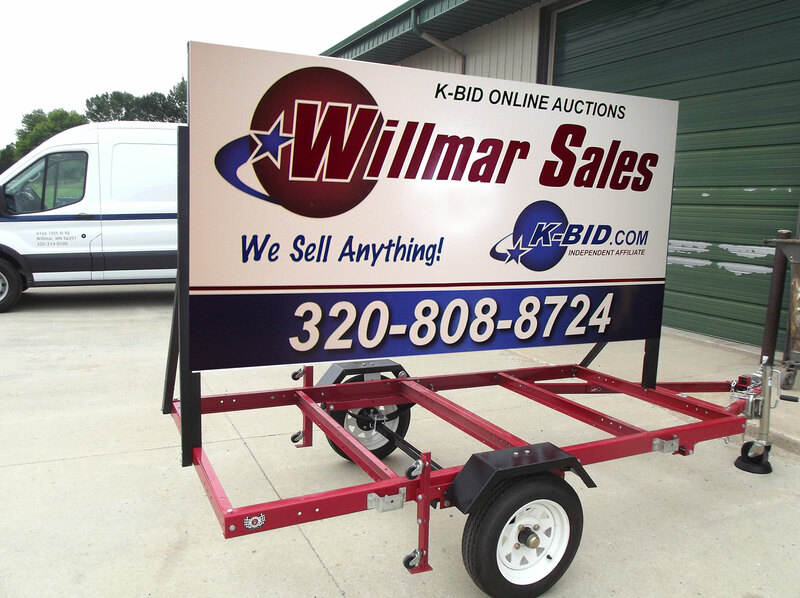 Rental – Whether you rent it for 1 day, 1 week or 1 month, our 4x8 mobile billboard trailer will get your message across to all who pass by. Prices vary depending on length of time needed, but average costs are approximately $25/day; $75/week; $200/month. 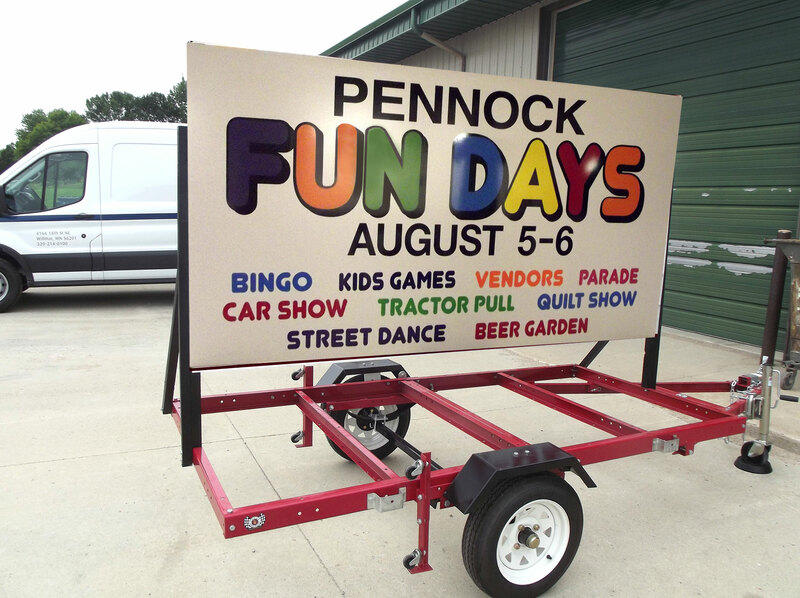 Custom Design Sign – We can put together a design for your sale, special event or promotion, along with your logo and unique design and add it to a coroplast or dibond substrate and apply it to our mobile billboard trailer. Changeable Letters – Just want simple lettering to get your message across with date, time and location? No problem! Our changeable letters will accomodate your needs!